Professor Robert Maurer, an experimental solid state physicist with a strong background in chemistry, died at his retirement home in Santa Fe, New Mexico on September 2, 1995. He was born in Rochester, New York into a family of Alsatian origin on March 26, 1913 and had all of his formal education there. George Eastman, the founder of the Eastman Kodak Company, had given a large amount of money to the University of Rochester, permitting it to develop a new campus and promote graduate education; it was easy and natural for Maurer to enroll there. He decided initially to major in chemistry and obtained his undergraduate degree in that subject in 1934, obtaining a substantial base in physical chemistry. When he learned, however, that Lee A. DuBridge had been appointed head of the physics department and would encourage research in solid state physics, he switched goals and decided to obtain a PhD in that field. He was in fact one of DuBridge's last students, obtaining his degree in 1939, just prior to the outbreak of World War II when DuBidge went off to head the Radiation Laboratory at the Massachusetts Institute of Technology . His thesis dealt with the photoelectric properties of sodium and barium. One of his close associates as a graduate student was LeRoy Apker, after whom one of the prominent physics prizes is named. The two shared many interests in common and joined frequently in typical graduate student pranks. Graduate school was followed by two years of post-doctoral research in the laboratory of Arthur von Hippel at the Massachusetts Institute of Technology where, among other things, he focused on problems related to dielectric breakdown in glasses. With the growing involvement of the United States in the conflict which developed into World War II, Maurer joined a group in the physics department of the University of Pennsylvania which was seeking, under the sponsorship of the Radiation Laboratory of MIT, to improve the performance of silicon diode rectifiers which were badly needed as heterodyne mixers in microwave radar. Two years later he accepted a tenure track appointment in the physics department of the Carnegie Institute of Technology in Pittsburgh and began what became a lifetime academic career as a combination of teacher and head of a research laboratory. Initially, his research in Pittsburgh centered about a program proposed by the U. S. Navy, carried out in close cooperation with Otto Stern and Immanuel Estermann, who had come to Pittsburgh as refugees from Germany. The goal of the program was to develop what came to be called a dark trace screen for viewing the return images of radar. The normal images produced by fluorescent screens, which are highly effective in a somewhat darkened room, are difficult to see on the bridge of a ship in bright daylight. Most of the research focused on the use of evaporated layers of potassium chloride, the electron beam producing a spectrum of color-center darkening which closely matches the eye sensitivity curve for vision. Although the ideal dark trace screen was not found, the experience prepared Maurer for much additional research on defect phenomena in alkali halide crystals. On request, Maurer spent a year and a half, until the end of the war, at the Metallurgical Laboratory of the University of Chicago where the large plutonium-producing reactors that were being constructed at Hanford Washington had been designed. He joined a mixed group of chemists and physicists trying to understand what effects the high level of radiation flux in the reactors might have on the properties of components-a problem posed by Eugene Wigner. In this connection, he carried out a series of delicate calorimetric measurements on the energy stored in graphite as a result of the disruption of the lattice that occurs when a specimen is exposed to cyclotron radiation. He also, in cooperation with Edward Creutz, carried out experiments on the production of bubbles in water exposed to ionizing radiation when the ambient pressure is decreased rapidly. His close colleagues dubbed him "Bubbles Maurer" as a result of this research, which was actually a forerunner of the invention of the well known bubble chamber used in high energy physics. On returning to Pittsburgh at the end of the war, he soon attracted a steady stream of graduate students and post-doctoral fellows, including a number from abroad. He retained close links with many of them, most of whom continued to carry out research in areas related in one way or another to that undertaken in his laboratory. One consequence of the association with foreign students and fellows was a series of invitations over many years to deliver lectures or serve on advisory committees in Europe, Asia and Latin America as well as the United States. He and his wife became well traveled. In 1948, soon after the Office of Naval Research was well established, he took a brief leave to serve as head of its physics division, working in close cooperation with the leadership and staff. 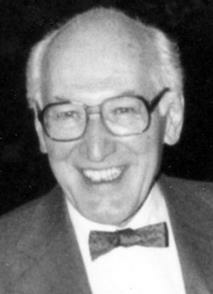 It was in his period that he and Lawson M. McKenzie created the Solid State Advisory committee for Solid State Physics. It eventually became an interagency advisory organization and is now attached to the National Academy of Sciences. In 1949, Maurer was offered a position in the physics department of the University of Illinois as a result of a decision made jointly by the head of the department, F. Wheeler Loomis and the dean of graduate school, Louis N. Ridenour, to expand in solid state physics as well as in nuclear and high energy physics. Both physicists had served in the Radiation Laboratory at MIT during the war when much attention had been given to the improvement of silicon diodes; both realized that the recent invention of the transistor would open opportunities for those trained in solid state physics. The new appointment permitted considerable expansion of facilities as well as the addition of a number of young faculty members. Research was extended to the range of liquid helium with considerable effectiveness, not least in the study of color centers in the alkali halides. Much of the new work was carried out by talented and highly motivated members of the younger staff, but along lines Maurer had explored. Beyond this, Maurer soon became a stalwart member of the physics faculty, serving broadly in the affairs of the department. In the 1950s, and encouraged by the advice of John von Neumann who had become one of the five members of the Atomic Energy Commission, the federal agencies decided to fund a number of interdisciplinary materials research laboratories at universities. The University of Illinois was the fortunate recipient of one, funded through cooperation of the Department of Defense and the Atomic Energy Commission, guided in turn by Charles Yost and Donald K. Stevens. By mutual consent of those from the various departments of the university who were to be involved in the laboratory, Maurer was chosen to lead the interdisciplinary advisory group in planning a new building and associated facilities on the campus. It was then natural that he be selected as its director when the laboratory opened in 1963. He occupied that position for the next fifteen years. Soon after retirement in 1981 he and Dorothy Maurer moved to a new home in what were then the suburbs of Santa Fe. Although Maurer's approach to an experimental problems tended to follow direct, traditional lines, as was the case for example in studying the diffusion of a radioactive isotope, his work was distinguished by the use of the most advanced equipment available, accompanied by great care and neatness. The results he obtained were inevitably convincing as a result of the thoroughness with which they had been carried out. He read widely and always had a book nearby for spare-time activity. The range extended from the classics, history and philosophy to pulpy detective stories. His father had been a creditable amateur artist; Robert inherited some of his talent and all of his appreciation of art. It was always a pleasure to accompany him to an art exhibit and share the benefits of his "artist's eye". Once long-playing records became available, he became intimately familiar with much classical music, not least chamber music and the operas of the eighteen and nineteenth century. He understandably fell in love with Persian rugs and collected so many that they had to be stacked in his study. Like his brother Armand, who is Professor Emeritus of mediaeval philosophy, including the philosophy of science, at the Institute of Mediaeval Studies in Toronto, Robert enjoyed entering into lively discussions of the greater meaning of life and the world which we inhabit. Early on his views were constrained to a degree by his formal religious upbringing, but they became ever more universal with the passage of time.